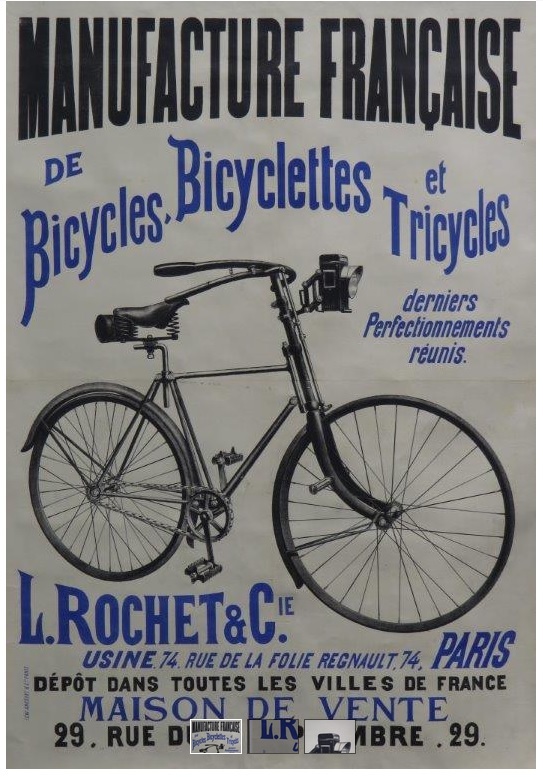 L. Rochet from Paris was one of the bigger French bicycle factories. I do not know much about the factory history, but the Encyclopaedia of Cycle Manufacturers (Ray Miller, V-CC) tells us Rochet started building around 1890 and that the factory was destroyed in 1914. That for sure wasn't the end of Rochet, since they kept on building motorcycles and bicycles at least until the 1950's. At the moment they are well known for their marvellous bicycle advertisements and posters, just check Google. This very refined bicycle in a very good condition is on display in the Musee du Moto et Velo in Amnéville, near Metz in France. Serial number on top of handlebars is I 7004. Very nice details and tangent spokes, which was an expensive feature in those days. I didn't know who had made this bicycle until I saw a Rochet poster for sale at the shop of Yesterdays. It shows exactly the same bicycle, but then with pivot steering instead of ball head. The poster (last picture) could be the 1890 model, I suppose? I found the Amnéville Rochet in the Rochet 1891 catalogue, it is the 'Modèle B'. 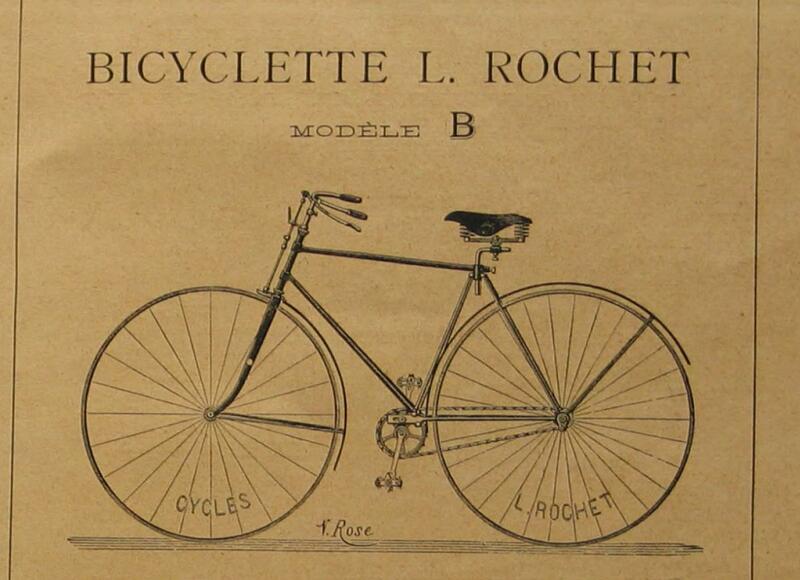 Anyone knowing more about the earliest Rochet bicycles: please tell me!